My heart rate monitor says I train at an average heart rate of 169 bpm. As far as I know considering my max HR (192) and my rest HR (68) based on all the calculation methods I’ve found on the web this is somewhere in zone 3; and running in this zone for 45-70 min is not really advised. The problem is if I ran slower I would walk. I run/jog 10k in 55 - 58 min at the above mentioned HR and I feel more refreshed rather than extremely exhausted. In the end of the training usually I feel, that I could keep on going for a few kilometres at the same pace. I am a 28 old male, started to run on a regular basis in last August 2008. The HR device must work fine, as I tested it on several friends and family members and it’s never displayed any nonsense. Is that possible that my HR zones are not defined correctly and located at a higher range, or I run “too fast” and should slow down, or any other possibilities? PS: I am a bit ashamed because I still owe you a huge thank you since Aug. 2008. I started with the 6th week of your beginners program 3. I still cannot believe that I am able to run for more than one hour and over 11k. Wonderful feeling. Thank You for that Dominique. Thank you for your question about your heart rate. 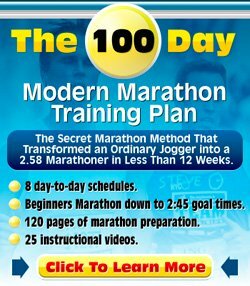 Very happy to see that one of my beginner running programs helped you start your running! You are right, your heart rate seems a bit high. A very important thing you need to learn as a runner is to learn to "run by feel". It seems like you are doing that, you are controlling your pace, you know not to push yourself that much so that by the end of the 10-11 km you have some gas left in the tank. Your Zone 3 is your tempo run pace, the pace which you'd be able to maintain for maximum an hour. So even though your heart rate monitor tells you so, you are not running in zone 3, but in zone 2. So, what is happening? It could simply be that when measuring your maximum heart rate and your rest heart rate you did not get it completely right. Maybe your rest heart rate is 70 and your maximum heart rate is 195, making your 169 a "high zone 2" or zone 2.5 as I like to call it. See the Karvonen heart rate calculator for details. Maybe you are a bit overtrained. This would push your rest heart rate up and your training zones as well. Some beginning runners also have some trouble "regulating" their heart rate. Any sign of movement would push their heart rate right up. Sometimes this disappears after a few months of training. And you could also just be one of the many people to who these general rules not exactly apply. I would not get too hung up about this. Listen to your body. Try to understand if you are pushing yourself too much and if so, take an extra rest day. Whilst running, maybe just leave the heart rate monitor at home for a little while and "run by feel". You will find out by practice what constitutes an easy run for you and what a tempo run is. On a running forum I used to visit a few years back someone quite often said "We are all an experiment of one", indicating that all the general running training programs and theory are all good and well, but how we and our bodies react to it is different for each and everyone of us. Not sure if I helped... Hope I did. Keep up the good work.